The terrifying Skovox Blitzer is ready to destroy all humanity – but worse Danny Pink and the Doctor are going to meet. 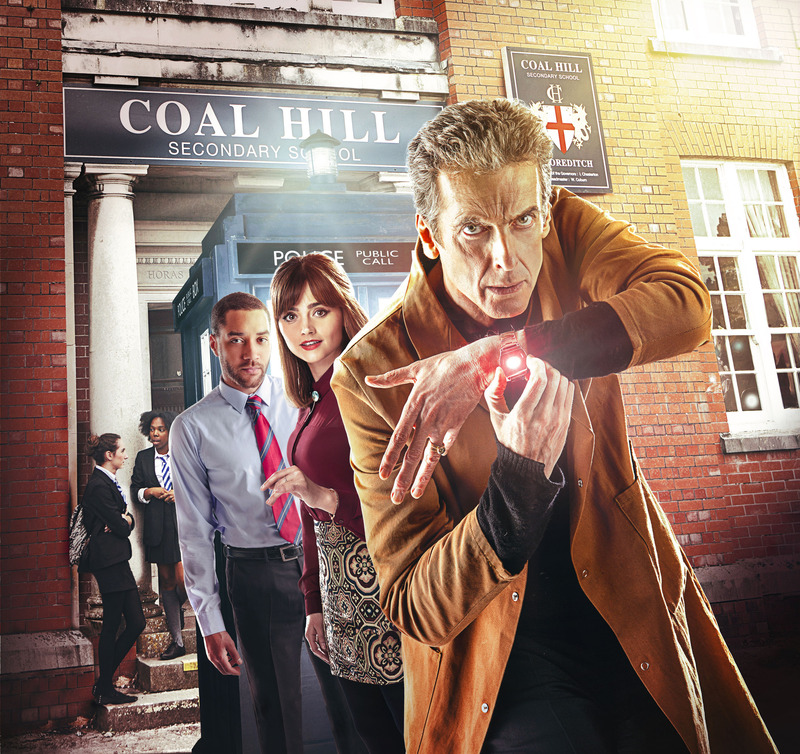 When chilling events threaten Coal Hill School, the Doctor decides to go undercover. Many, including one of its writers, Steven Moffat, have compared The Caretaker to The Lodger. Moffat has even gone so far as to say it is an “updated” version of The Lodger. This really isn’t true. For one The Lodger had a better plot than The Caretaker; The Caretaker hasn’t really got any plot. In this episode the actual episode is more based on the conflict between The Doctor, Danny and Clara rather than any coherent narrative. Before we go into the main interesting points of the episode we should take a look at the lack of a plot. The Doctor is at Coal Hill School because there is a wee beasty called Skhovox Blitzer roaming around. His only purpose in the story is to provide the “scary monster” for the kids. Blitzer has a great design but doesn’t really amount to anything other than being a filler monster. A nice filler monster but a filler monster none the less who doesn’t really effect what is at the heart of the story or anything else for that matter. The main focus of the story is The Doctor’s conflict with Danny and the fact that he is a soldier. While this doesn’t really make any sense it does give off the interesting and rather untouched upon notion that The Doctor is a snob. Danny compares him to an “aristocrat” and a “captain” which ties in with his time spent in the army. It does show off an interesting side to The Doctor, one never explored before. The problem is that the conflict that causes it has no basis in fact. For some reason, The Doctor now hates soldiers; as a character he has always been wary of them but he’s never down right hated them. Another problem with The Caretaker is due to the conflict between The Doctor, Clara and Danny taking centre stage and the plot being so none existent, the episode feels too long. Without a decent plot, the story feels hollow and lacking in depth. Nothing really happens of consequence except some rather forced tension. Though this tension does bring up some good points and interesting arguments it doesn’t justify the forced way these points are got across. All in all, The Caretaker is an all right filler episode but there isn’t really that much to discuss due to there not being much content. The whole episode is built around the idea of The Doctor finding out about Danny and vice versa. This would have been a lot more effective if it had been put into a better story and framed in a more interesting way.